Life is full of events that include starting a new job, getting married, having children, etc. Each of them requires time, money and effort to maintain, but they also bring countless benefits. Another task that fits these descriptions is removal. A change in location can alter your life and bring a lot of benefits. Moving a house lets you expand your space and be closer to various spots and people. Office relocation enables you to expand your firm and helps your business succeed. Student removals let you be closer to university and the student community. International removals are a major change but can make your dreams come true. These tasks can be tough, but we can help with removals in Lower Clapton, E5 so call Moving Service on 020 8746 4402. It is a London district and part of the London Brought of Hackney. 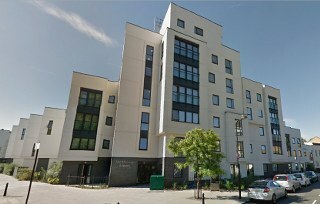 It is five miles north-east of Charring Cross and uses the E5 postcode area. Nearby places include Upper Clapton, Stoke Newington, Hackney Central, Dalston, London Fields, Homerton, Hackney Wick, Victoria Park, Leyton, Temple Mills, South Tottenham, Harringay, Seven Sisters, Shacklewell and Newington Green in the E5, E8, E9, E10, N15 and N16 areas. The centre of the area is Lower Clapton Road, with Clapton Pond in the north within the old village green. There are two conservation zones here: the aforementioned Clapton Pond, along with Clapton Square. The largest open space here is Hackney Downs, though it is disputed if it is part of this area or Hackney. It is a diverse place that has a popular market which is regularly held. Chatsworth Road hosts a variety of shops and restaurants that reflect the diversity of the area. African, Turkish, Asian and Caribbean cuisine can all be found here along with new coffee shops. Victorian terraces and parks are common here. Notable people from the area include John Howard, Nathaniel Woodard, Jessica Tandy and Helen Shapiro. Tackling removal is a tough chore. It requires you to complete many tasks so that your belongings are safely transferred to your new address. The first part of the process is planning and creating moving checklist. This should simplify the process and keep you on track. Packing items should be done slowly, so things are wrapped and boxed properly to keep them safe. A moving van or other suitable vehicle should be arranged in advance and be able to store your goods within it. Furniture removals and carrying boxes can be unsafe if rushed, so take your time. Our removals company in Lower Clapton, E5 can make all of this easy for you, though. Call on 020 8746 4402 and you will begin to learn more about the process and get an useful piece of advice. This will make you better prepared for the task and will enable you to know what to do. Our removals services are flexible and will see to your every need. We can send movers to provide packing materials, help pack goods, carry large items, drive things in a specialized removal van and more. Our staff is trained, experienced, skilled and knowledgeable, so they will help you with every removals service fully and properly. Our house movers can help with the entire move or just certain aspects of it, giving you professional services. We guarantee cheap removals services with our free quotes that you can receive without commitment when you call, so get in touch with Moving Service today.